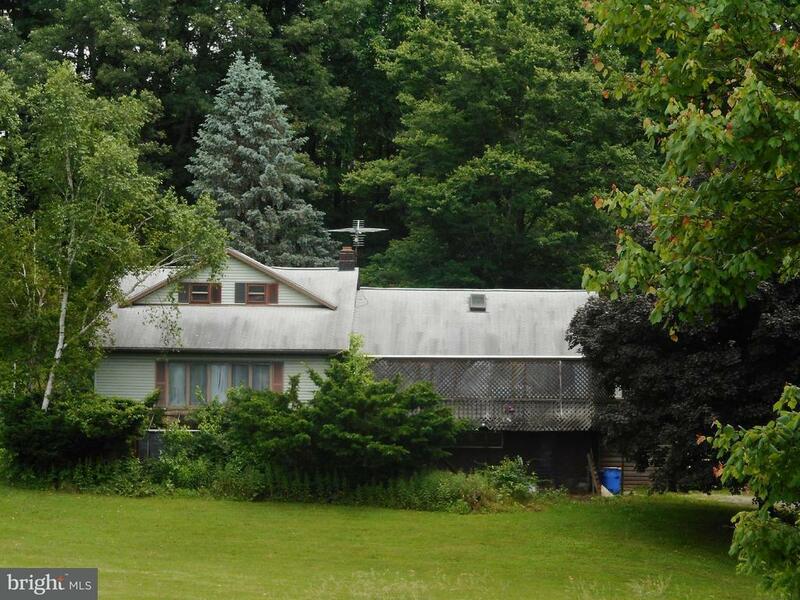 A one of a kind home situated on 2.64 acres of partially wooded land. Beautiful park like setting with a pond in the front yard and a small stream. This property offers 4 bedrooms, 2 full baths, a covered deck/balcony, a studio area with vaulted ceilings and a skylight with a loft area. Finished attic could be an additional bedroom or a play room. 2 laundry rooms, oak kitchen cabinets, large living room. Full unfinished walk out basement with a built in 1 car garage and a built in utility shed. Plenty of storage. 2nd laundry room with a laundry tub and sliders to the patio. A detached carport can house 2 cars. This property needs cosmetics and updates. Being sold in AS IS condition. Seller will make no repairs.